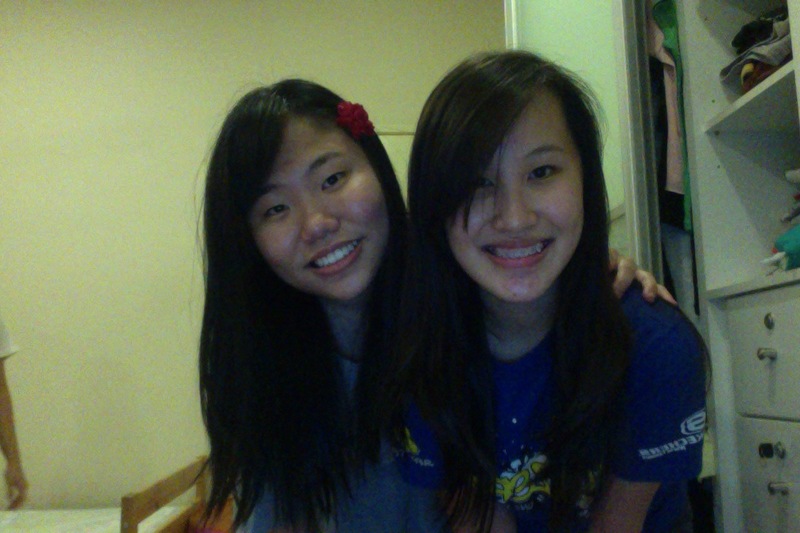 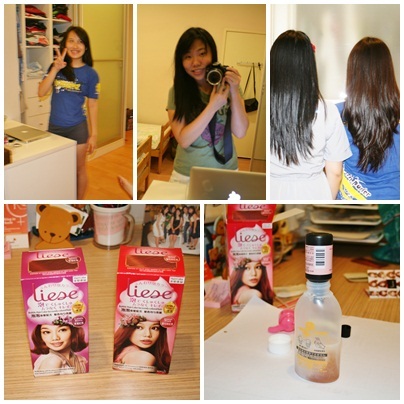 Cha and I dyed each other's hair ^^ And Nabs helped both of us ehehe. 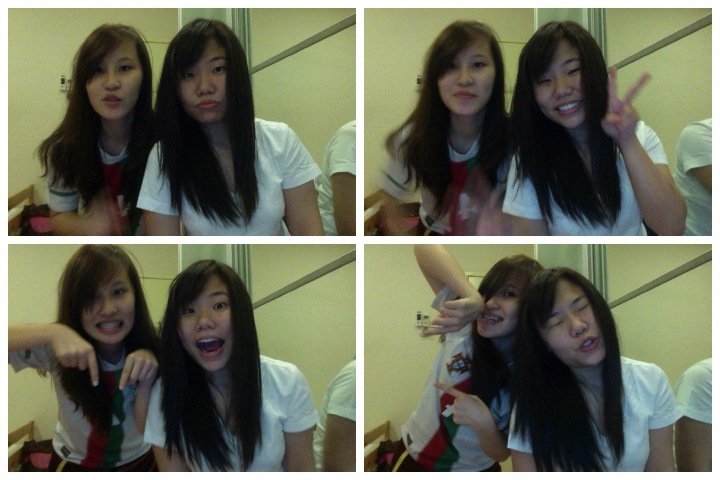 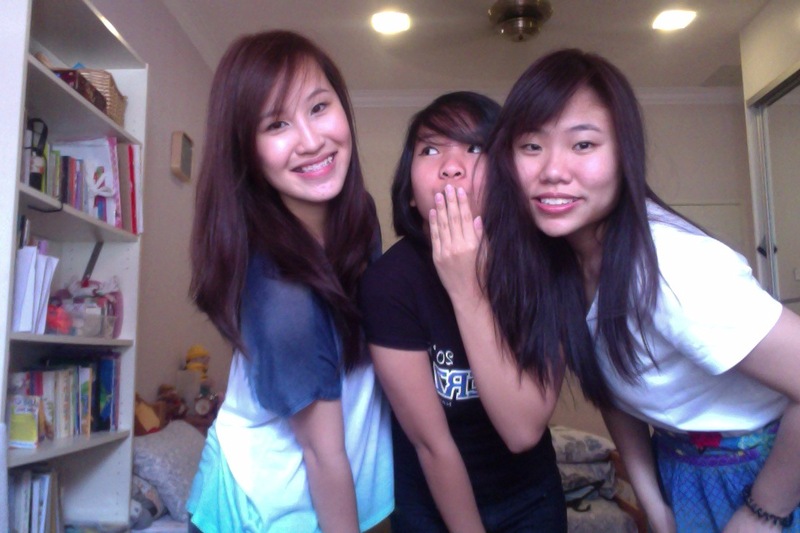 T'was a sleepless night with lots of laughter, camwhoring and gossiping hehe. 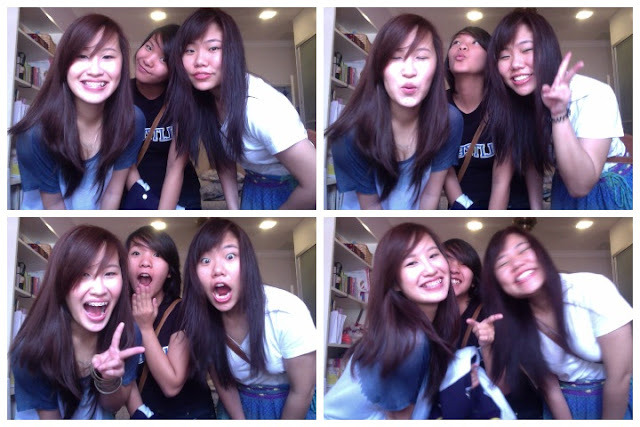 We followed Charis to her early morning piano class :) then off we went to Cheer 2012.